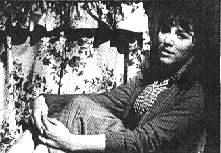 Portrayer: Carol Roux, May 8, 1964 - July 1, 1969; March 10, 1970 - July 6, 1970. Arrival: (1964) Close friend and social worker Ann Fuller moved to Bay City, so Missy left San Diego to be near her. 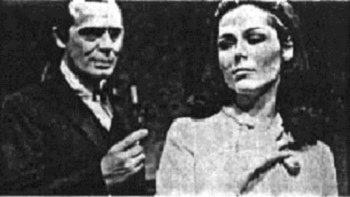 (1970) Returned to report Bill Matthews' death to Liz Matthews. Departure: Moved to Somerset with her son, Ricky Matthews. Introduction Scenes: (1964) To Bill Matthews (RIP) on the campus bridge, "Yes, it's me. Did you think I was-- one of the students?" (Reintro, 1970) To Liz Matthews about Bill Matthews' death, "Mother...Bill was...He..." Exit Scenes: (1969) Leaving her and Bill's house waving goodbye to a crowd, "Everyone is so...everyone is so...Oh! I love you all so much." (1970) To Liz Matthews, "Well, I’m glad to hear that everything’s fine." Birthday: December 1944, real birthday. February 1945, "adopted" birthday. Other Aliases: Melissa Palmer (a name Missy chose for herself from the newspaper). 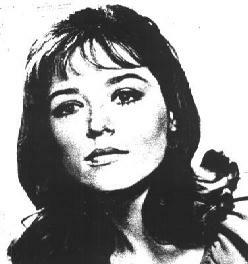 Melissa Matthews (name as of 1968). Last Known Whereabouts: San Diego, California. Other Whereabouts: San Diego, Chicago, Somerset, California, Arizona. Relatives: Katherine Corning (RIP), mother. Lt. Richard Summers (RIP, killed on February 20, 1945, age 24), father. Ricky Matthews, son. 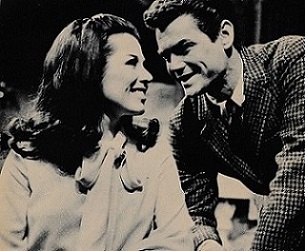 Spouses: Danny Fargo (RIP) (married on August 23, 1966. Dissolved in February 1967). Bill Matthews (RIP) (married on December 21, 1967. Dissolved in March 1970). Legal History: Convicted for the murder of Danny Fargo (RIP) (1967). Former Occupations: Waitress at the Kopper Kettle. Hostess at the Homestead restaurant.